Marine 31 Gel Coat Heavy-Cut Cleaner Wax is the perfect one-step solution for removing moderate to heavy oxidation and staining on gel coat � standard and painted. Formulated using advanced micro-abrasives, proprietary cleaning agents and nourishing oils, Marine 31 Gel Coat Heavy-Cut Cleaner Wax maximizes color, gloss and surface smoothness while leaving a durable layer of high-gloss wax protection. Marine 31 Heavy-Cut Cleaner Wax is exceptionally easy to apply and remove and its unique formula does not dust or cake up. Always be sure to use a pad conditioner prior to compounding or polishing a boat. 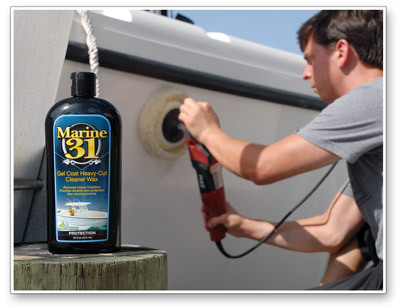 Marine 31 Spray Polishing Pad Conditioner softens new pads while creating additional lubrication for your compound or polish, making it easier to work with. Captain Max, the owner and founder of Marine 31 boat waxes, cleaners and polishes is a popular guy on his side of the river. When Max hosts get-togethers and BBQs for his fellow boaters, he pays close attention to their unique boat care needs and strives to make caring and maintaining their pride-and-joy easier and less time consuming. 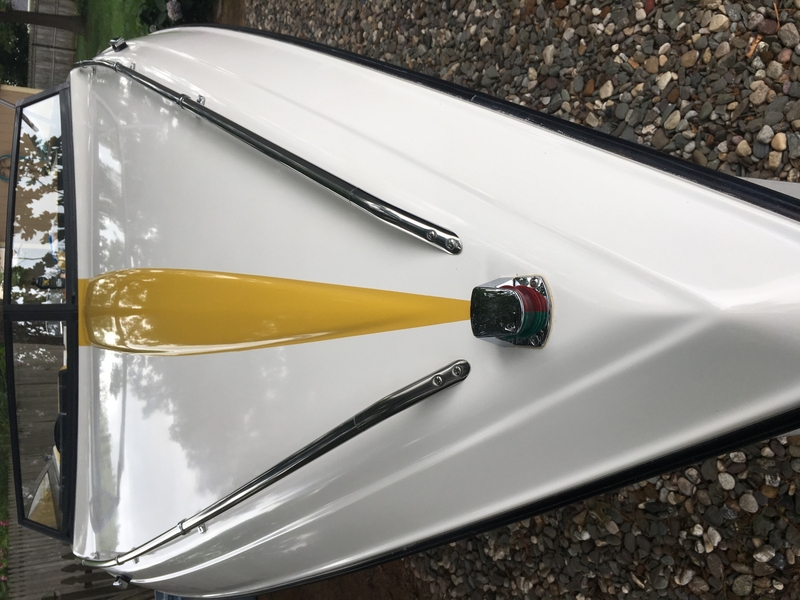 Max repeatedly heard the term �heavy duty cleaner wax� thrown his way and that�s how Marine 31 Gel Coat Heavy-Cut Cleaner Wax, better known as the best boat cleaner wax in South Florida, was born! Developing what is now known as the best boat cleaner wax was no easy feat. The goal with Marine 31 Gel Coat Heavy-Cut Cleaner Wax was to create a boat cleaner wax that doesn�t contain the big, chunky, sharp abrasives that, while effective at removing oxidation and surface staining, leave swirls and haze behind. Marine 31 Gel Coat Heavy-Cut Cleaner Wax had to also contain nourishing oils to hydrate the gel coat and, more importantly, a durable wax built-in to protect the gel coat against UV rays, salt degradation and more. After months of testing and countless reformulations, Marine 31 Gel Coat Heavy-Cut Cleaner Wax was born and it exceeds all expectations set forth by Captain Max! Forget everything you know about a heavy duty boat cleaner wax and discover Marine 31 Gel Coat Heavy-Cut Cleaner Wax, arguably the best boat cleaner wax money can buy! In one simple step, Marine 31 Gel Coat Heavy-Cut Cleaner Wax removes oxidation and staining while leaving a glossy, durable layer of wax protection. This all-in-one boat cleaner wax will enable you to spend less time polishing and waxing and more time being out on the open water! 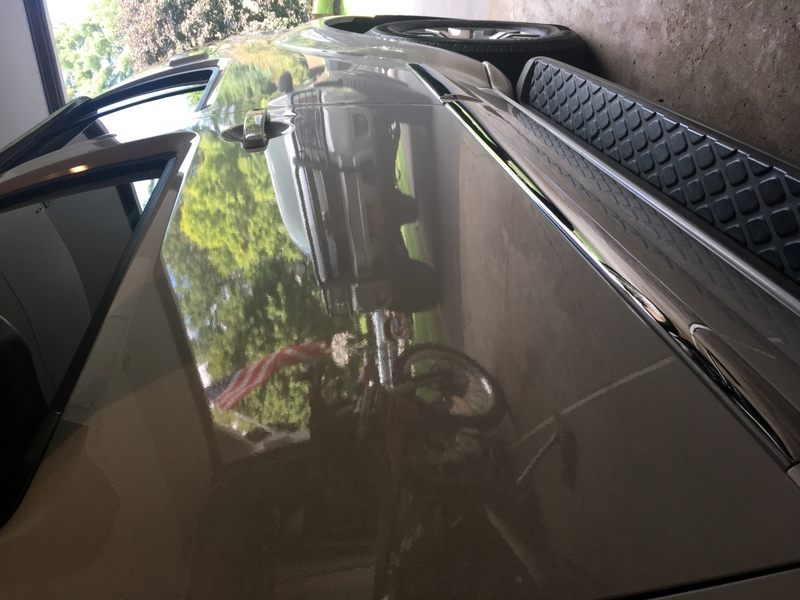 Gel coats oxidize and there�s no way around that. Exposure to UV rays from the sun and salt from the ocean cause gel coat to fade and discolor over time, taking away from the overall appearance of your boat. 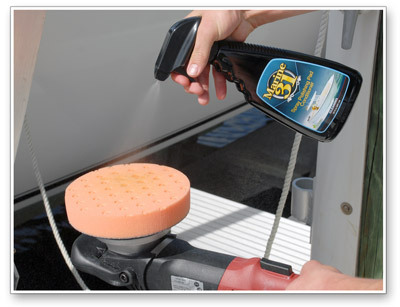 Unless your boat is brand new with no signs of oxidation, a wax alone simply isn�t going to cut it (literally!). By utilizing the most advanced micro-abrasives ever conceived in a boat cleaner wax fused with nourishing oils and durable wax protection, Marine 31 Gel Coat Heavy-Cut Cleaner Wax is the perfect one-step solution for reviving and protecting your boat�s gel coat finish. Marine 31 Gel Coat Heavy-Cut Cleaner Wax contains the most advanced UVA and UVB absorbers available in a boat cleaner wax. This provides superb protection against the elements so your boat retains that just-waxed shine month after month. Say goodbye to multiple steps and say hello to the best boat cleaner wax money can buy � Marine 31 Gel Coat Heavy-Cut Cleaner Wax! 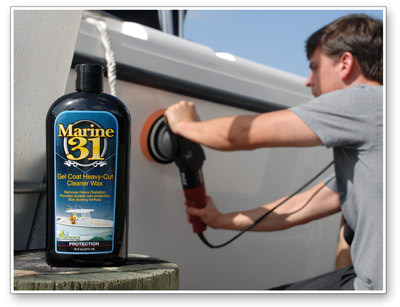 Marine 31 Gel Coat Heavy-Cut Cleaner Wax is harbor-safe and eco friendly. 1. Shake well and ensure surface is cool to the touch. 2. Apply an �X� of product directly onto cutting foam pad on a dual action or rotary polisher and spread product over a 2� x 2� area. 3. Dual action/Random Orbital Polisher: Set speed between 5000 and 6000 OPM. Circular/Rotary Polisher: Set speed between 1200 and 1500 RPM. 4. Work product until it turns clear. 5. Remove residue with a microfiber towel. Amazing polish and wax product! Using a random orbital buffer this product cut through ALL of the oxidation on my 1989 Baja boat. Even the areas that I thought weren�€™t that bad...boy was I wrong, it�€™s was bad. 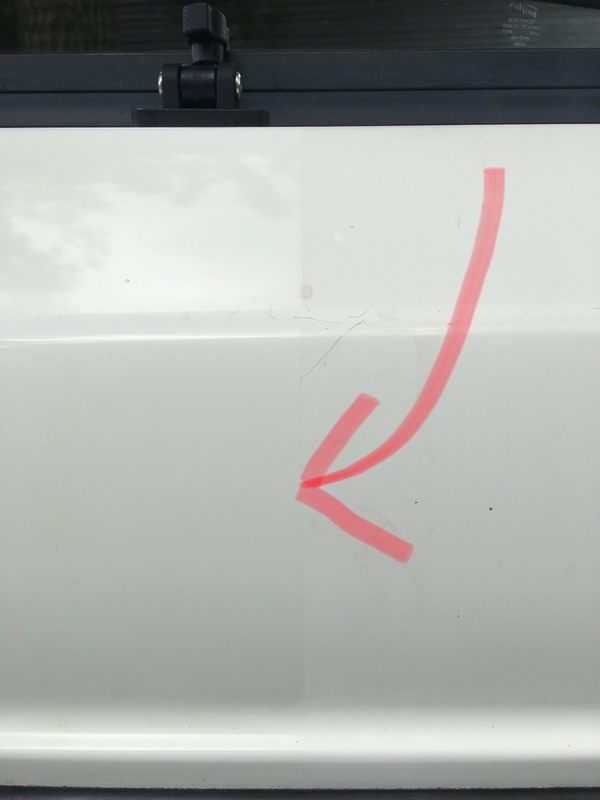 I did a tape line test to see. Wow! Buy it and use it. You�€™ll be amazed and never use anything else. I even used it on a white car. The paint feels just like the boat. Amazingly slick and a mirror like shine. See photos. ProsFast. Polish and wax all in one. Makes old gelcoat look new again.